This week’s novel has to feature as one of the best satirical books of all time. Try a simple Google search and you will come up with almost three million references. Google The Da Vinci Code and you will get six million references, but Catch-22 was first published 45 years ago, and not fresh in the collective (un)consciousness of today, such as is Dan Brown’s blockbuster. Catch-22 was written by Joseph Heller (ISBN 0-09-947731-9) and took the world by storm in 1961 and by 1970 had been adapted for the screen. It has left the phrase “Catch-22” as an integral part of English expression to describe a cyclical conundrum. The book revolves around Bombardier Yossarian, an American Assyrian in the US Air Force in WW II. Chapter by chapter it introduces the men in his squadron, including such wonderful characters as Major Major Major Major (and you have to read the book to find out how he received that name) and the quartermaster in charge of the PX store Milo Minderbinder, the man who was really running the local operation of the war, not the nominal head, Colonel Cathcart. However, it was Colonel Cathcart who was in charge of allowing men home after they had flown enough missions, but was in the habit of raising the number as soon as anyone got close to completing it. There was another way that the men could get home – if they were crazy and did not want to fly any more missions. This is where Catch-22 came in. Catch-22 said that if anyone wanted to get out of combat duty, they weren’t really crazy. This is explained early in the book by Doc Daneeka, the resident medical officer who tells Yossarian, “Orr (another of the pilots) would be crazy to fly more missions and sane if he didn’t, but if he was sane he had to fly them. If he flew them he was crazy and didn’t have to; but if he didn’t want to he was sane and had to.” And try and get out of that! Other items with the same inescapable logic comes with Milo Minderbinder who flies missions to collect groceries, working on a purchasing system. One classic is where he explains to a disbelieving Yossarian how he buys eggs for seven cents each in Malta and sells them for five cents each to the mess halls, and makes a profit of three and a quarter cents an egg (and you have to read the book to see how this is accomplished). Having loaned several copies out over the years, and ending up with none, I was very pleased to find one in a secondhand stall at a fair and snapped it up immediately. This is definitely a book worth chasing through Amazon if the local secondhand bookshops cannot supply you with a copy. I make no excuses in reviewing a 45 year old book. 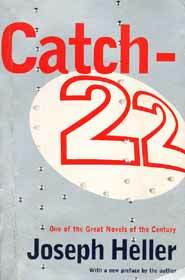 Catch-22 has real literary merit, which is more than can be said for many publications sent in to be reviewed. Find one, write your name inside in large letters and never lend it out. “Crime of the Century” is the name of the album, but in hindsight “Surprise of the Century” would have been a more apt title. Supertramp was formed in 1969 around Richard Davies, with the financial backing of Stanley August Miesegaes (known to his friends as Sam). son again. At this point Sam separates from the band, paying off the 60,000 pound debts already incurred, wishing them all the best for the future, but severing any further ties. Davies and Hodgson bravely keep going, recruiting new musicians in the shape of magical saxophonist John Anthony Helliwell (ex ‘Alan Bown Sound’) and the rock solid jazzy drumming of Bob. C. Benberg (ex ‘Bees Make Honey’ and ‘Ilford Subway’ with American Scott Gorman before he became famous with ‘Thin Lizzy’). Perhaps most importantly of all, Dougie Thomson came in on bass guitar and took over the business management of the band. At this point the band were gigging day to day to survive whilst writing new material for the proposed new album. But A&M Records had no future plans for the band; in fact they thought Supertramp had imploded. Roger Hodgson and Richard Davies, under the watchful eye of new partner Dougie Thomson, went back to A&M Records to plead their case for another bite at the cherry. For once somebody at the record company got it right. port Studios. 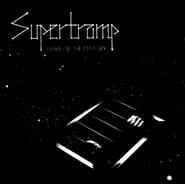 The third album under the Supertramp banner is released in September 1973, and with the full weight of the A&M publicity machine behind them, coupled with some ground breaking and prestigious live concerts, the band becomes overnight sensations. The first single off the album, “Dreamer” (which was to be the template for the Supertramp sound from here on, hammering piano, searing guitar licks, beautifully contrasting harmonised vocals, with catchy amusing lyrics, combustible saxophone and clarinets, and a jazz influenced rhythm section) was to peak at Number 13 in the British charts, followed by the album itself which was in the Top Five by Christmas of that year. All the songs on the album have a conceptual theme to them: in this case insanity. All sorts of insanity, whether it be brought on by education (School), dreaming (the first single), love (Rudy), shyness (Hide In Your Shell) or authority (the title track). Every track is instantly recognisable as Supertramp, and the album as a whole runs together perfectly, starting with the haunting harmonica opening of School to the final rousing crescendo of the title track. In-between there are some splendid melodies ranging from many of the band’s influences, folk, progressive/rock, pop, jazz and the classics, combining the vocal talents of both Hodgson and Davies in their contrasting manner, giving Supertramp that essential variety. This is used in quite devastating effect on the album’s centrepiece song Asylum, where they both sound as if they are completely going off the planet. Quite a blend you may think, but it all gels to stirring effect. Supertramp was to go on to conquer the adult oriented world of rock music, even the advent of punk rock did not dent their mercurial rise to stardom. Three more smash hit albums were to follow, “Crisis What Crisis?” (1975), “Even In The Quietest Moments” (1977) and culminating in the Worldwide Number One album “Breakfast in America” (1979) which was to spawn four hit singles on its own (in those days hit singles used to mean something). The band toured internationally on the strength of these records and would fill stadiums wherever they went. As in many marriages, something that started out as blissfully perfect ruptured into bitterness and in family fighting. After one more not so successful album and world tour, Roger Hodgson left the family, taking with him John Anthony Helliwell, leaving Richard Davies to carry on with the name Supertramp. Of course by this time none of them needed to work for the money, and really did not care, nor to be quite honest did the public, enough was enough. Both carried on their careers in a very lacklustre manner, but were never to find that original spark again. All good things must come to an end. The Tramp was super for a long time and made enough to retire to its mansion. I do like a story with a happy (if not perfect) ending. I wonder if Stanley August Miesegaes “Sam” ever got repaid for his original funding of the dream?